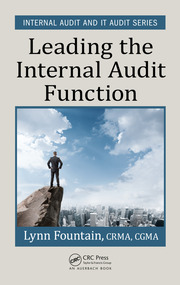 This book provides practitioners with strategies and tools for establishing and maintaining a successful, value-centric internal audit organization. 1. Introduction. 2. Balancing the Demand for Traditional Assurance Services and Consulting. 3. Building the Case for Consulting Engagements. 4. Branding the Audit Function. 5. Process Improvement Methodologies: Six Sigma Techniques. 6. Leveraging Data Analytics to Root Out Value. 7. 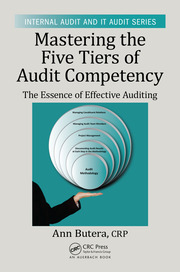 Cost Saving Targets All Auditors Should Consider. 8. Revenue Recovery Targets All Auditors Should Consider. 9. 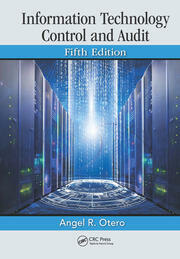 Leading Positive Change on Enterprise Risk Management. 10. Leveraging Co-source Partners for Efficiency. 11. Appendix. Dan Samson is Executive Director and CAE at SRI International, Menlo Park, California. Mr. Samson has responsibility for global audit, corporate policies administration, and Enterprise Risk Management. Prior to joining SRI in 2011, he worked as Senior Manager of Internal Audit and Six Sigma Black Belt at Raytheon Company. He has held numerous positions in the utility and financial service industries, and has served on not-for-profit boards in the San Francisco and greater Boston area. 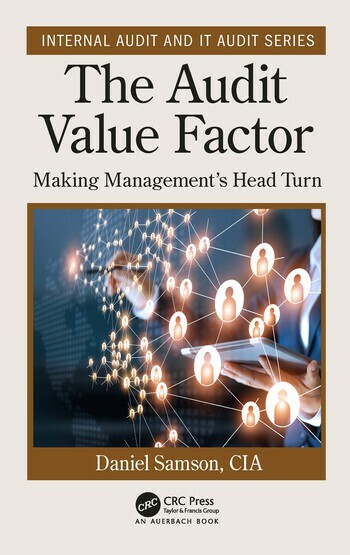 He is a frequent speaker on process improvement, data analytics, internal audit, fraud prevention, and risk management for the Institute of Internal Auditors and the MIS Training Institute. Mr. Samson serves on the Board of Governors for the San Francisco Chapter of the IIA and on the Professional Issues Committee for the Global Institute of Internal Auditors.Mr. Samson obtained his BA in Economics from the University of New Hampshire, Durham and his MS from Boston University. He also holds certificates as a Certified Internal Auditor and Six Sigma Expert / Black Belt.